Leasing a vehicle can be a difficult decision but here at Baywest Mitsubishi our service team makes the leasing process as smooth as possible by providing you with quality expert advice as well as the most competitive rates currently available. Whether your in the market for a new vehicle or a quality pre-owned Mitsubishi, our experts are on hand to answer all your questions. Leasing a car has some true benefits that are worth taking into consideration when it comes to finding your next vehicle. Whether it's lower monthly lease payments and sales tax, the ability to upgrade sooner or reduced repair costs thanks to the factory warranty, the benefits are numerous and with fluctuation in gas prices, it's always nice to know that an upgrade to an electric vehicle maybe plausible sooner then later. Past that, Baywest Mitsubishi also often provide lease cash discounts as an incentive so there's never a shortage in savings. Wouldn't it be nice to know that if your car depreciates faster then you'd expect it has no effect on your lease? Well with Baywest Mitsubishi leasing there's no need to worry. We accept the vehicle at the end of the lease term and often offer the option of purchasing the vehicle at that point so should you choose to buy, the depreciation could actually benefit your purchase cost. 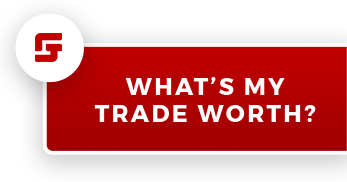 It's also worth noting that we provide fantastic trade-in incentives, simply fill out our online trade form and let us appraise your current vehicle's value. With so many cars and SUVs to choose from in our pre-owned and certified pre-owned inventories, there's no end to the possiblities. See a model you may be interested in financing? Don't hesistate to contact us today and set up a test drive. It won't be long before your behind the wheel of the ride of your dreams.